As life happens, some of our players have had to retire from our group. Others occasionally perform with us as guests. We honor our very special friends on this page. 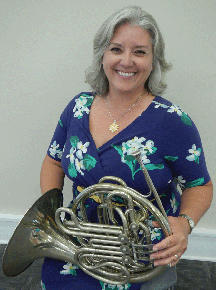 A resident of Brooks, Terri is an active performer in the Southern Crescent area and teaches French horn and piano to children and adults at Terri Lynn Ingram Music Studio. A resident of Fayetteville, Mike is a retired band director and currently teaches bassoon privately and performs with the Southern Crescent Symphony Orchestra, based at Spivey Hall. Utako has been a contestant at several amateur competitions such as Van Cliburn Outstanding Amateur, Chicago Competition, and International Fryderik Chopin Competition. A resident of Newnan, Daniel is active as the Band Director at Lee Middle School in Sharpsburg, GA. He studied horn and conducting at Jacksonville State University in Jacksonville, AL. 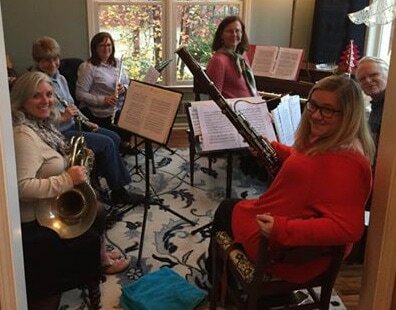 Kirsten has played the bassoon at the collegiate level and has also taught band, chorus and elementary music. She current works at Madras Middle School in Newnan, Ga.
Sam offers piano tuning, restoration, and maintenance to residential homes and businesses in Atlanta's southern communities.